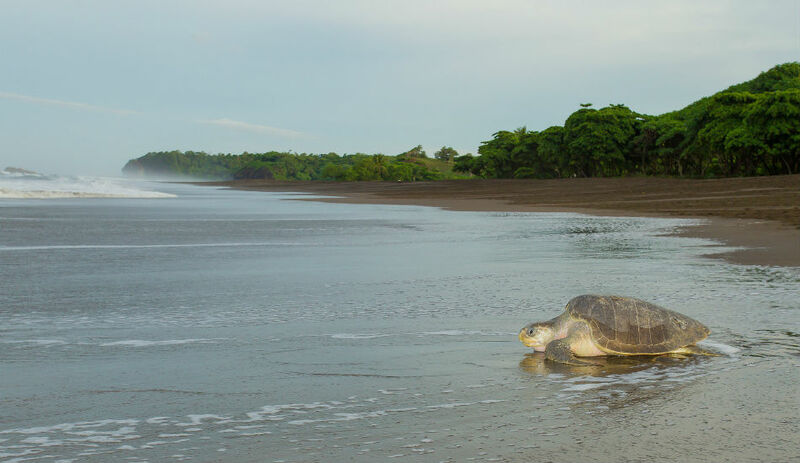 Ostional National Wildlife Refuge is one of Guanacaste’s most impressive and beautiful landscapes due to the wild and thick vegetation that surrounds its amazing beaches. Furthermore, here takes place one of the world’s most stunning natural phenomena, the marine turtle nesting process. The park occupies an area of 790 acres. Lots of animal species inhabit the park’s mangroves, monkeys, wild birds, reptiles, etc. But the park’s main distinctive feature are its beaches, which are located from Punta Indias to Playa Guiones Beach. These beaches are an ecologic model since they are marine turtle’s chosen setting for their nesting. The most characteristic turtle species that nests in the park is the olive ridley turtle. Thus, Ostional National Wildlife Refuge is now an study and research center, since this nesting process interests the entire biology community. 36 miles from Liberia, Guanacaste, Costa Rica.